Chandigarh, August 21, 2018: In a first of its kind initiative, Connect Broadband, market leader in wireline and broadband services across Punjab, has deployed the Netflix Cache Grid at Mohali. This facility allows Connect Broadband users to directly stream titles from service provider’s network, rather than streaming them from Netflix’s own servers. 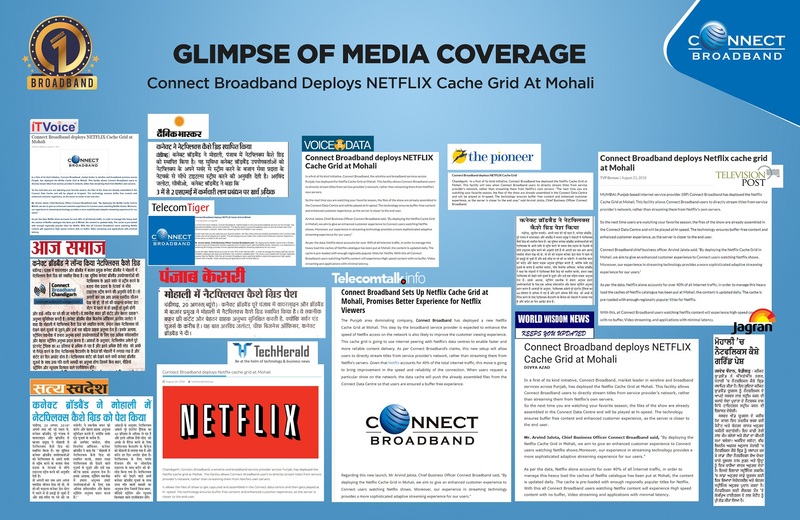 Mr. Arvind Jalota, Chief Business Officer Connect Broadband said, "By deploying the Netflix Cache Grid in Mohali, we aim to give an enhanced customer experience to Connect users watching Netflix shows. Moreover, our experience in streaming technology provides a more sophisticated adaptive streaming experience for our users."